Genius and Mvp move onto Code S RO16! Poll: Recommend Mvp vs. Line Game 1? Your vote: Recommend Mvp vs. Line Game 1? Poll: Recommend Mvp vs. Line Game 2? Your vote: Recommend Mvp vs. Line Game 2? Poll: Recommend Mvp vs. Line Game 3? Your vote: Recommend Mvp vs. Line Game 3? Poll: Recommend Happy vs. Genius Game 1? Your vote: Recommend Happy vs. Genius Game 1? Poll: Recommend Happy vs. Genius Game 2? Your vote: Recommend Happy vs. Genius Game 2? Poll: Recommend Happy vs. Genius Game 3? Your vote: Recommend Happy vs. Genius Game 3? For the pride of Zenex and my hopes for a MVPless Finals, Line please vanquish the Terran King. Amen to that, would love to see a GSL without Mvp. Hoping Genius will go through, not sure whom I'd prefer out of Line and Happy though. Voted for Line. Don't let me down son. ZeNEX fighting! Suhosin really needs to bring his A game in order to advance. also letting you guys know early that i can't LR GSTL this friday T_T. Prime is playing too noooooooooooo. IM Terrans to get through ezpz. Only way MVP does not take this is because his wrists let him down. Line will probably find a way to roach baneling allin himself into the next round. MVP of course is a sure pick. 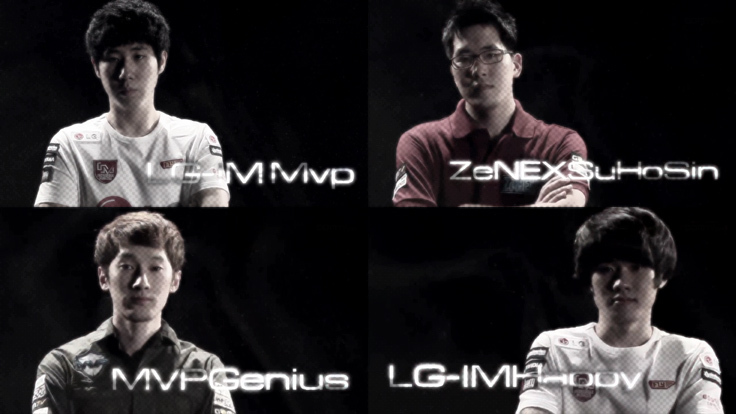 Genius and Happy im not too sure about, Genius because he left MVP and that always takes a toll on a player and happy because i think that he's just a tad outclassed by everyone in this group.